I've always been a huge Miller & Carter fan so I was SO excited when I saw that they were opening a new restaurant in my home-town Beaconsfield. They've taken over what used to be the Harvester, giving the whole place a much-needed face-life which Tom and I went to check out a couple of weeks ago. 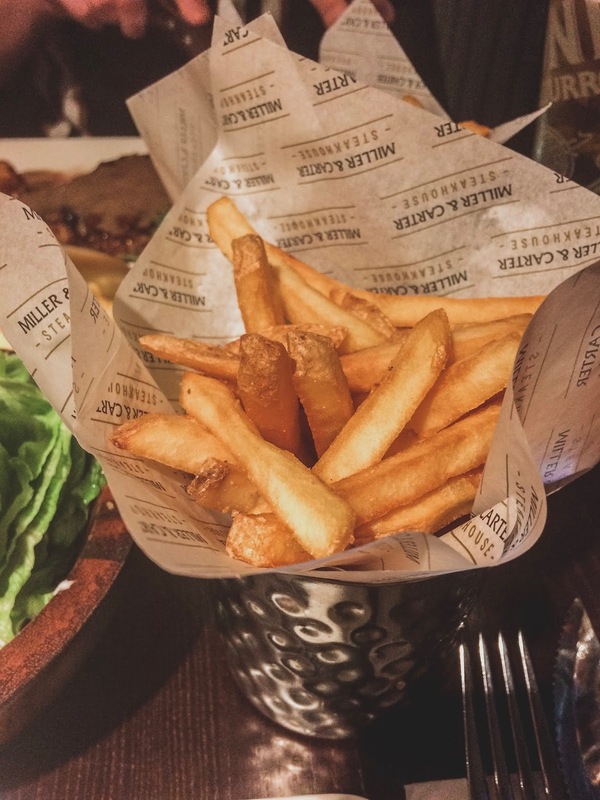 If you've never been to Miller & Carter before, it's a Steakhouse restaurant which prides itself on providing the ultimate steak experience. 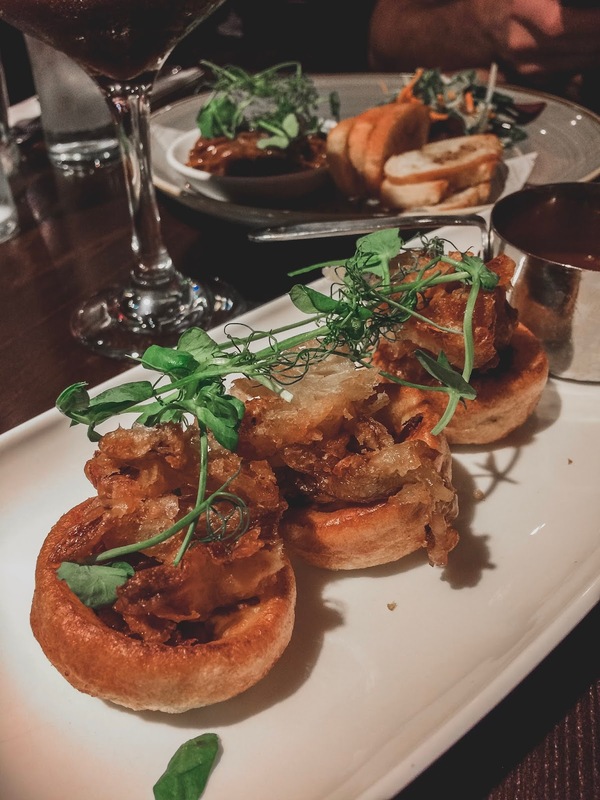 We kicked off our meal with a couple of starters - if you go, you HAVE to order the mini stuffed Yorkshire puddings - they're packed with slow cooked beef barbacoa, cheddar cheese and topped with crispy onion loaf. You also get a little pot of beef dripping sauce on the side which you can drizzle all over - or dunk them into. We also shared the Pulled Beef & Onion Rillettes. 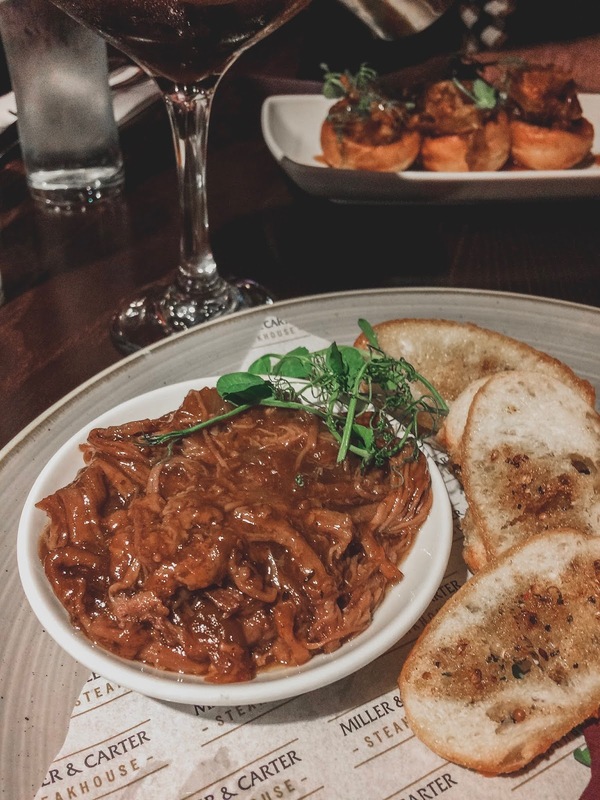 A bit like a cross-between a pate and a terrine, it's made with slow cooked pulled beef, caramelised onion marmalade and beef dripping sauce and comes served with toasted ciabatta which you can use to scoop it all up onto. 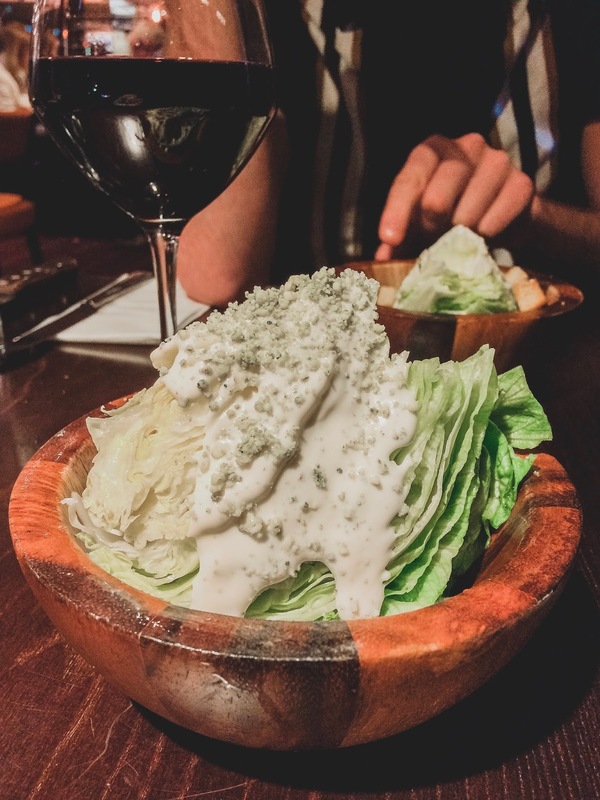 Then you pick an lettuce wedge, with a choice of several dressings which acts as a bit of a starter - my favourite is the Stilton and blue cheese sauce. 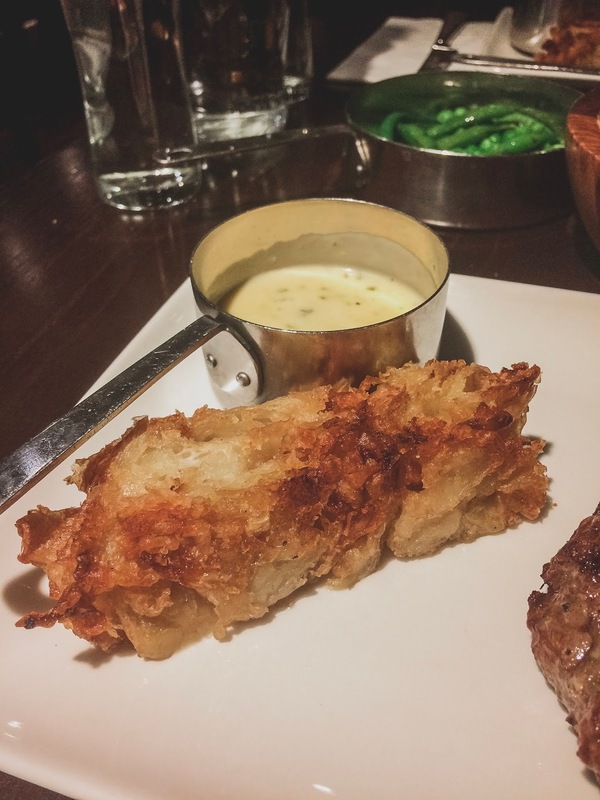 as well as your choice of steak sauce, plus seasoned fries and a parsley butter. I always think the steaks here are incredible value, given how much you get included in the price. You often see steaks restaurants charge you one price for the meat and you then have to shell out for additional sides. If you do want to add on sides, there's a whole array of options from stuffed bone marrow to mushrooms and Mediterranean vegetables. 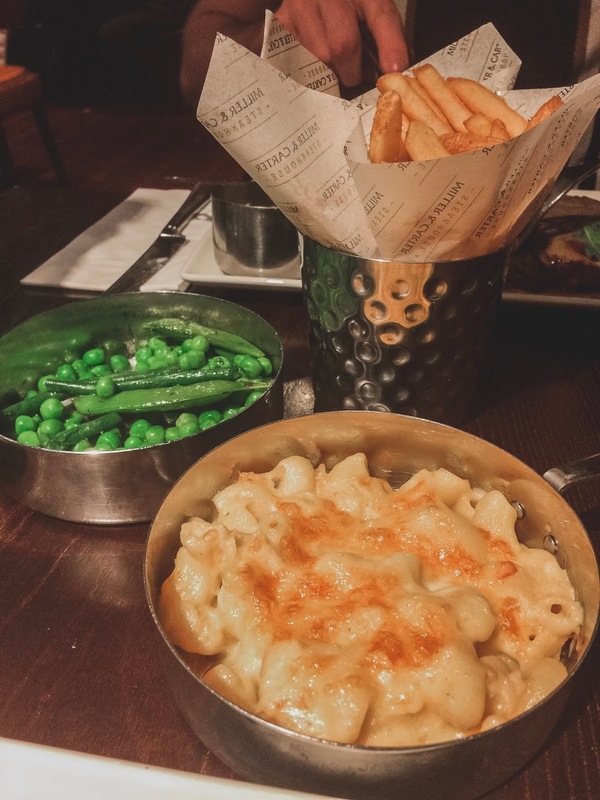 We went for a portion of the Lobster Mac & Cheese, which was delicious, and added some Sauteed Greens for a bit of healthy balance. 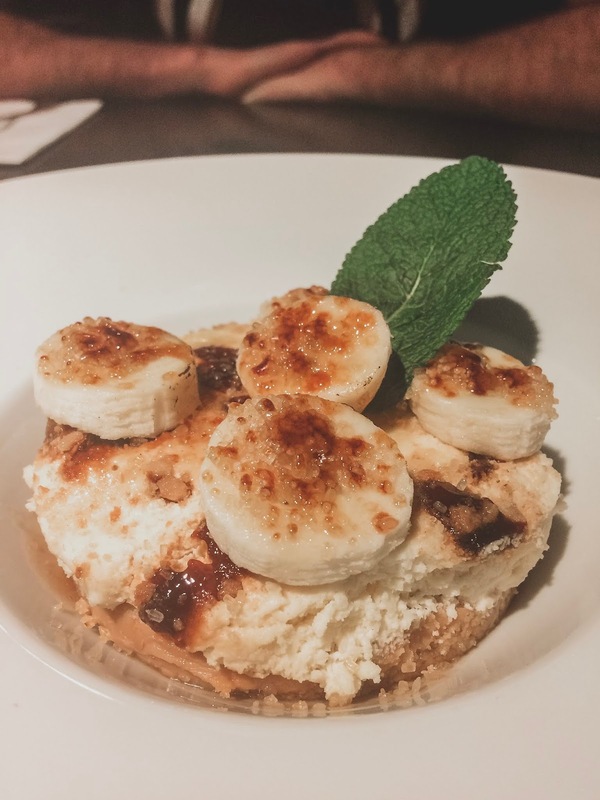 After all that food, we just about had room for dessert so decided to share a Banoffee pie between us. A perfect balance of soft toffee, with banana slices and loads of delicious cream - one of my absolute favs! 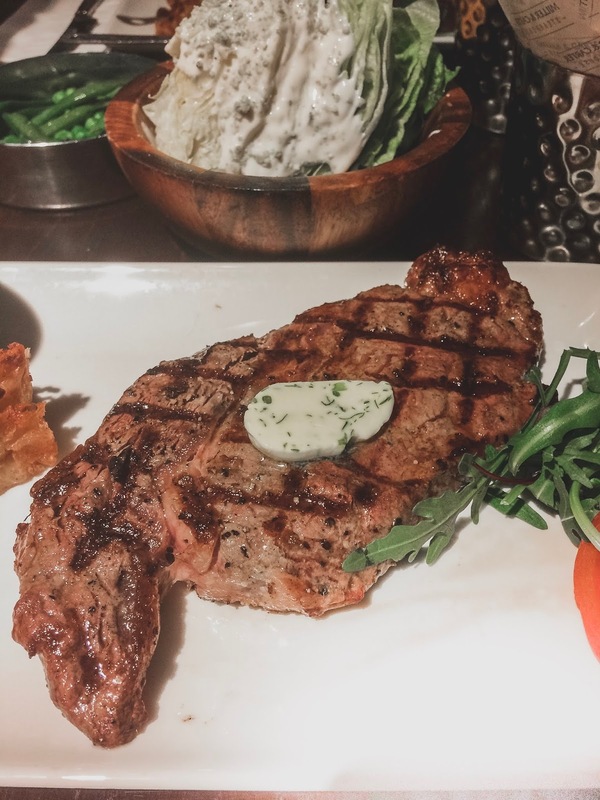 All in all – it's a really great steak restaurant and a fab spot for date night or if you're celebrating a birthday! If you live locally, you can find the Miller & Carter at the address below, otherwise they have restaurants all around the country so just head to the website to find your nearest branch.